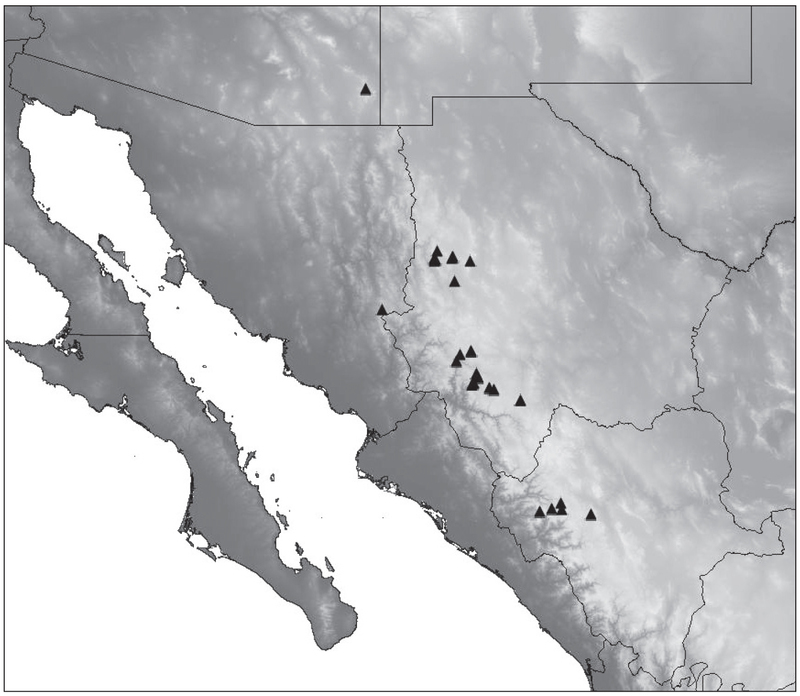 Just published: Duran and Roman described a new tiger beetle species, Cicindelidia melissa Duran & Roman 2014, from high elevation (>2000 m.) Ponderosa pine forests in Chiracahua Mountains of southeastern Arizona and the Mexican states of Sonora, Chihuahua and Durango. 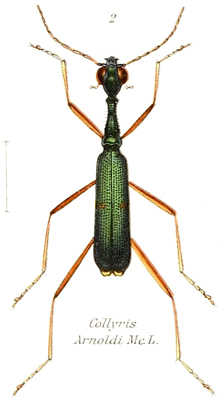 This species can be distinguished from all other similar Cicindelidia by its dark green-violet abdominal venter with the two apical segments dull orange or orange-brown, a brassy-cupreous head and pronotum with metallic blue reflections in sulci, small shallow subsutural foveae present in most individuals, and microserrate elytral apices. 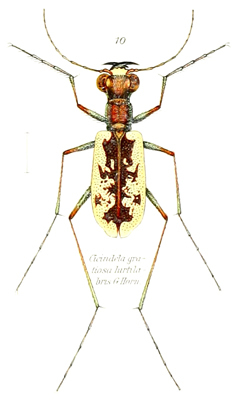 It inhabits rocky upland soils in ponderosa pine forests above 2000 m.
C. sedecimpunctata (Klug, 1834) has an entirely orange-red to orange-brown abdominal venter, a more uniform dull brown dorsal coloration, and lacks apparent subsutural foveae. 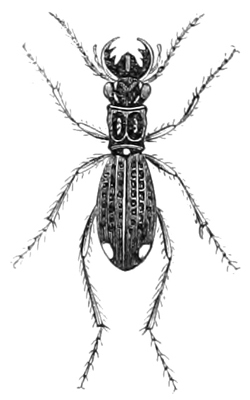 It also differs from the new species by inhabiting muddy ground at nearly any elevation. C. nebuligera (Bates, 1890) has dark elytral infuscations that surround the middle band, and lacks elytral apical microserrations. It may be found in similar habitats, but is apparently allopatric with the new species and does not appear to be restricted to elevations above 2000 m.